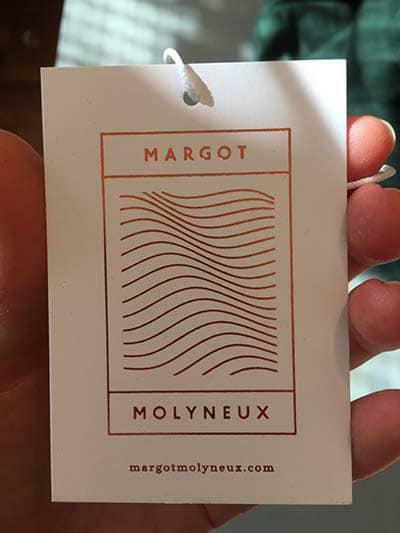 Margot Molyneux is a Cape Town based fashion design studio that was established in 2011. They design and produce seasonal collections of women’s wear that are comfortable, versatile and oh so pleasing to the eye. 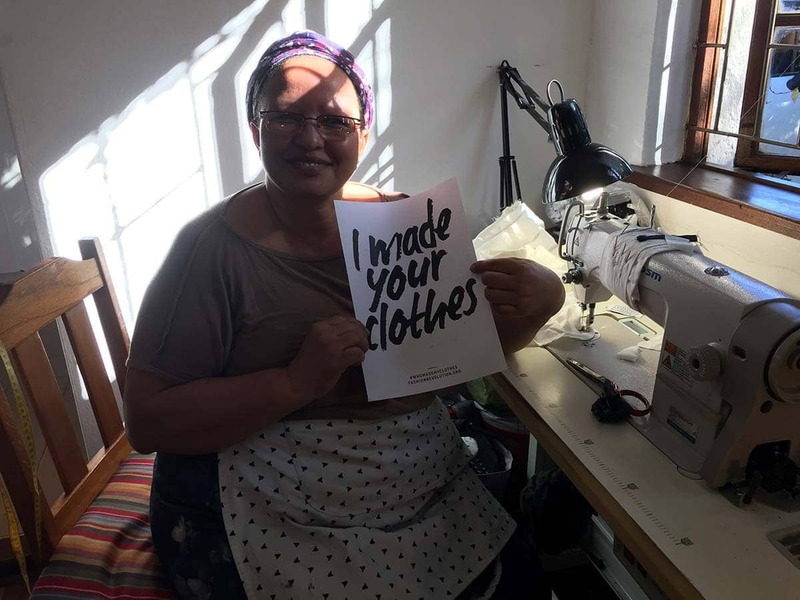 I had the pleasure of stopping past the studio and looking at the behind the scenes work of the designers and seamstresses at their home-based studio in Claremont. Not only were there smiles all round but a busy bustling feeling of creativity flowed around the room. I thoroughly enjoyed chatting to Margot and Greta about the label and seeing how far it has come over the past six years. They explained to me the challenges and obstacles that they are faced with each day and the ups and downs of having a locally produced brand in South Africa. With the fashion revolution looming upon us I felt it was only fitting to speak to the designers about their impact on the environment and efforts in promoting a transparent label. Leaving the studio with a spring in my step I felt positive towards the fact that small brands such as this one are open to learning about what they can do to join in on the Fashion Revolution and help to change the way that consumers shop. Be sure to check out their incredible store on Roeland Street, I know I did and I already have my name written all over a pair of salmon culottes that I shall be carrying home in my recyclable paper bag at the start of the new month. Are you aware of the fashion revolution and what it stands for? What is your own personal understanding of sustainable fashion and what is your brands idea on sustainability? We design clothing which we feel is not bound by trend or design features, we aim to make products which are versatile to wear, and if looked after, will last. About 95% of our collection is made from natural fiber fabric, while only approximately 5% of these are made in an environmentally way, we are not using fabric which is man-made, thus unable to decompose. From local suppliers, most of these suppliers import their fabric, only a small selection of cotton is made at a local mill. Yes, we use plastic bags to transport our clothing to our store, and other stores, however we recycle these for reuse. We package our online orders in cardboard boxes and our store customers receive their purchase in a paper bag. We also recycle all the cardboard waste from our patterns, we are trying to figure out a way to utilize our fabric waste in a clever way. How do you encourage consumers to form an emotional attachment to your product, thereby discouraging disposal? I feel that the overall look and aesthetic of our brand lends itself to a lifestyle of classic clothing, that when purchasing an item, you know you will enjoy for many seasons to come. I know everything from the point we have purchased our fabric. Most of our wholesalers purchase fabric from India and China. Do you think that ethical clothing will ever out-compete and dominate mainstream less ethical clothing from brands such as H&M or Topshop? Why? I do sadly not think so. 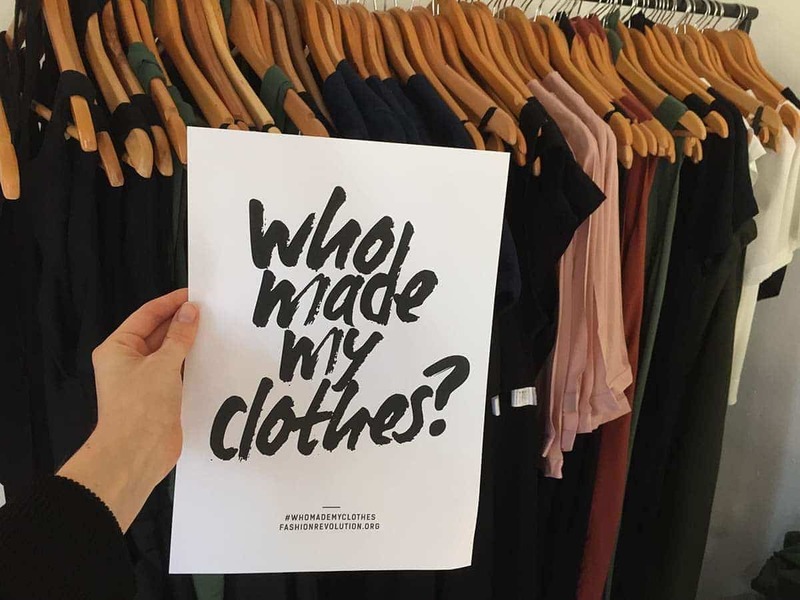 Ethical clothing is more expensive to produce because systems already in place would need to be changed. Mass consumers will always want to be a part of world fashion trends and if it is available at a cheaper cost, will always revert to those items. On the flip side, there will always be customers who choose to take interest in this, whether it be to support a local boutique or an ethical clothing label, and would turn their backs on large retailers. Could you offer an upgrading and/or repair service to your customer? We offer an alteration service for free, which allows our customers to be 100% happy with their purchase, hopefully encouraging longevity. We have on occasion also offered a repair service. What effects has outsourcing had on your business as a South African brand? Outsourcing the importing of fabric, leaves us with little variety in terms of fabric quality and colour.